Five families begin their cursed journey that will last centuries. Betrayal at House On the Hill is a modern classic board game that’s different every time you play it. 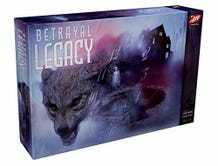 Betrayal Legacy is one of those rare sequels that improves on the first, with a generational story that makes the game uniquely yours. 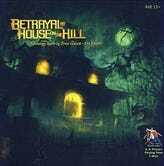 For the uninitiated, the original Betrayal at House On the Hill featured five players exploring a mansion, finding new creepy rooms, artifacts, omens, and events as they play. You might find a crystal ball in the dungeon or a spirit board in the nursery. Depending on what omens you find in which rooms, you unlock one of 50 possible “haunts,” each a creepy tale of mummies, ghosts, giant snakes, and more. And at least one player is always set to betray the others. It’s an exciting game that doesn’t take very long and is different every time you play it. However, the lore of the game raises some dark questions. Whose house is this? Why is it so many different kinds of haunted? And why would anyone explore such an obviously deadly home? Betrayal Legacy aims to answer all these overly nitpicky questions. This follow up to the original features the same house, but with a more fleshed out backstory. A backstory you play through yourself. This one starts in the year 1666. Spooky, right? 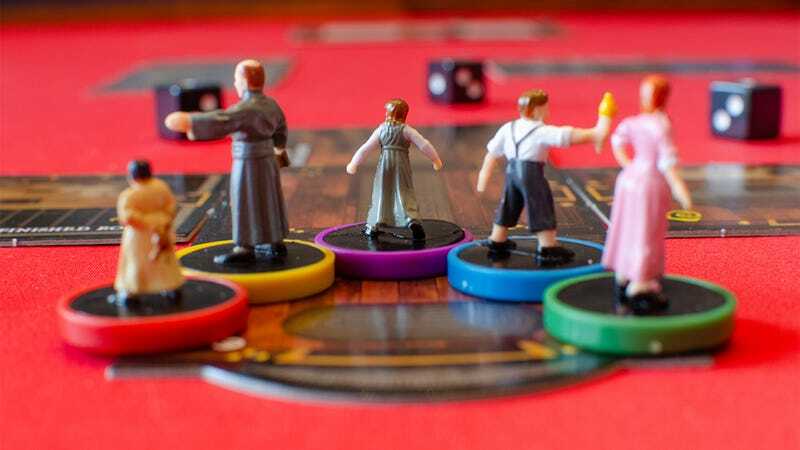 You and four other people play as members of five different families that have traded ownership of this elaborate, decrepit mansion for centuries. And each new generation has its own horror story to tell. Legacy games—like Pandemic Legacy and Risk Legacy—have special rules and features that add to the story every time you play. Betrayal Legacy begins with a prologue, followed by a thirteen chapter story. Each chapter represents one typical playthrough, each one lasting 1-2 hours, depending on how quickly you finish. Before you even enter the house, you feel the malicious presence of no fewer than three spirits, bound to this tile. The initial chapters are more guided than a typical Betrayal game, but have richer lore. Without spoiling the story (it’s really best to go in blind and experience it with your party), each chapter leaves behind elements that affect the next. When a character dies, for example, the tile is marked where their body lies. It doesn’t take long for the grounds to become littered with the spirits of those left behind. Those spirits can alter dice rolls or alter the effects of events that happen on those tiles in future games. Each player isn’t just one single person, but a family. You start by creating a character in the family that may age or die by the next chapter. The 10-year-old child you created in one chapter may become the old crone a couple chapters later. The old man in one chapter may die and leave his possessions to his granddaughter. What kind of possessions? Glad you asked. Certain items you acquire along the way become heirlooms. In future games, they bestow the same benefits they always did to other players, but if it’s kept in the family, they get a bonus. A weapon that does 1 damage for regular players may do 2 damage for the family that rightfully owns it. Every new chapter is another chance to tell a story in your family’s legacy. Each game, ownership of the house transfers to the winner of that chapter. The winning player gets a special ability for owning the deed to the house the next time you play. We’ll avoid spoiling too much, but these game mechanics are just the beginning. Whole sections of the rule book are missing until you reach the appointed time, and even the box itself hides new, intriguing surprises. With each successive chapter, you unlock new rules, discover new secrets, and unfold the tale of the world’s most haunted mansion. 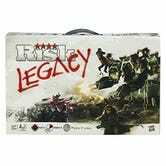 Legacy games in general have a sense of permanence to them. You’ll have to destroy certain cards or make permanent alterations that might make the obsessive game collector cringe. What you’re left with at the end, though, is a tale (and a game) that’s thoroughly yours. Once you’ve finished the story chapters, the game can be played as much as you want just like a normal Betrayal game. Your copy will have unique traits that no other copy has. And now, you know the deep and disturbing history of every tile, every item, and every body haunting the house on the hill.